As soon as I came, the victims (faces hidden to keep them anonymous) greeted me with a song and dance. 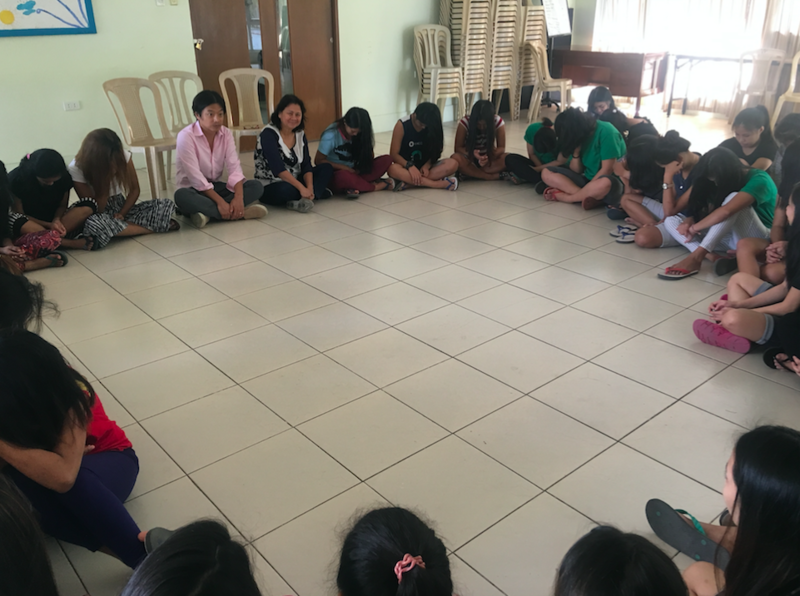 We then all sat in a circle, and they shared their stories of trafficking and abuse. I was beyond overwhelmed. Hearing these girls, ages 4-15, tell their trafficking stories was heartbreaking. Some lured online by predators, some misled by supposed friends, some shuttled internationally, some even sold by family members…. each story was as painful to hear as the next. The girls had suffered the unspeakable. In addition to hearing about their heartbreaking stories and their suffering was the stark realization that the child trafficking infrastructure is more widespread and sophisticated than anyone dares to acknowledge. 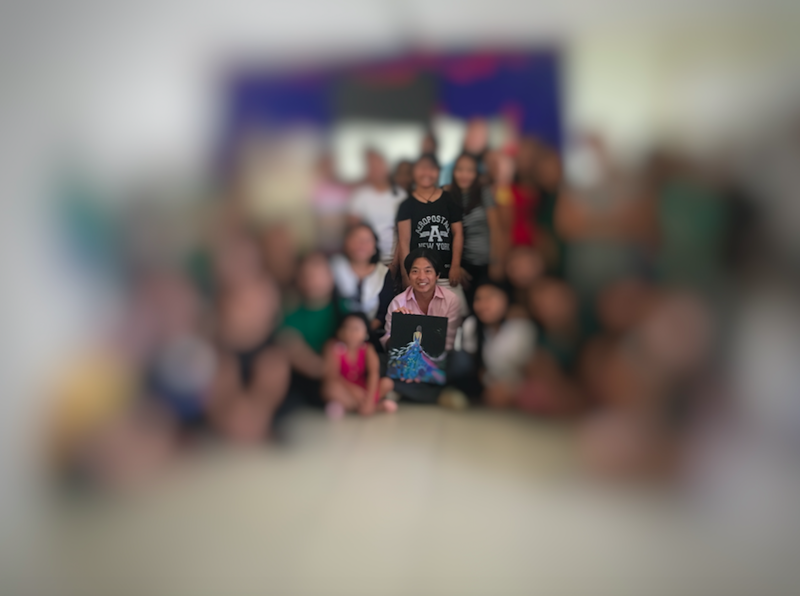 There is a large network out there that specifically targets these children, and we are proud to support organizations like Visayan whose mission is to shut them down and rehabilitate the victims. Despite what the girls have gone through, their spirit and resolve was unbelievable. 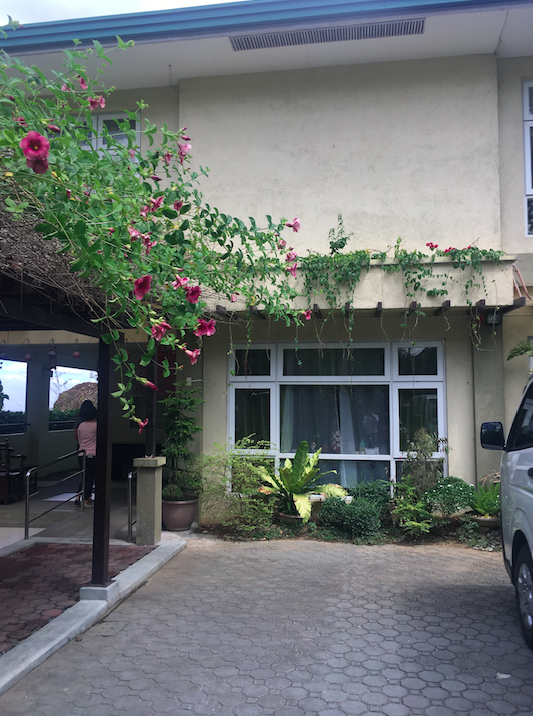 While acknowledging and processing their experiences in the past, (with the help of Visayan’s social workers), they also are determined to move on and make the most of their lives. They smiled, laughed, and played like any other children. One gave me the beautiful painting you see in this picture, which is now in my office. 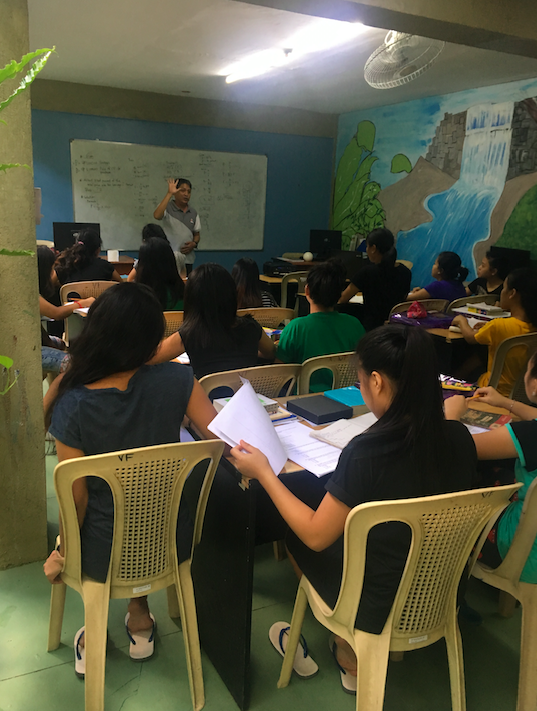 In addition to sheltering and protecting the girls, Visayan also educates them. I got to sit in on a math class. 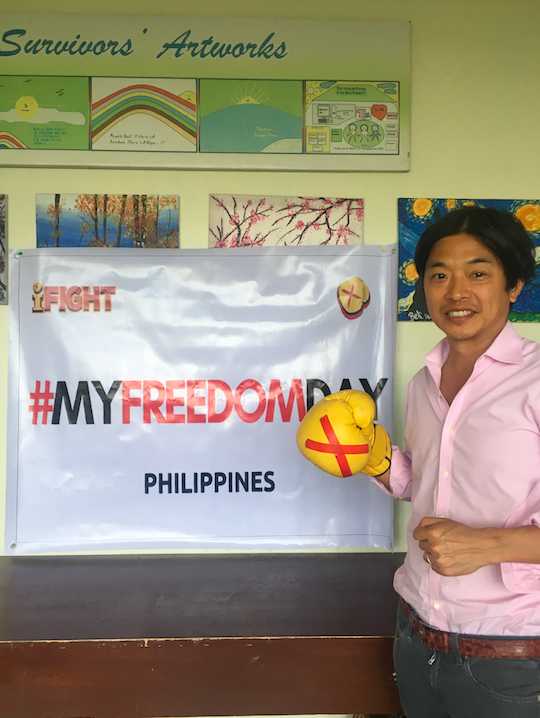 The inspiring head of Visayan, Cecilia Flores-Oebanda, herself a victim of child trafficking. Cecilia has committed her life to helping prevent children from enduring her same fate. 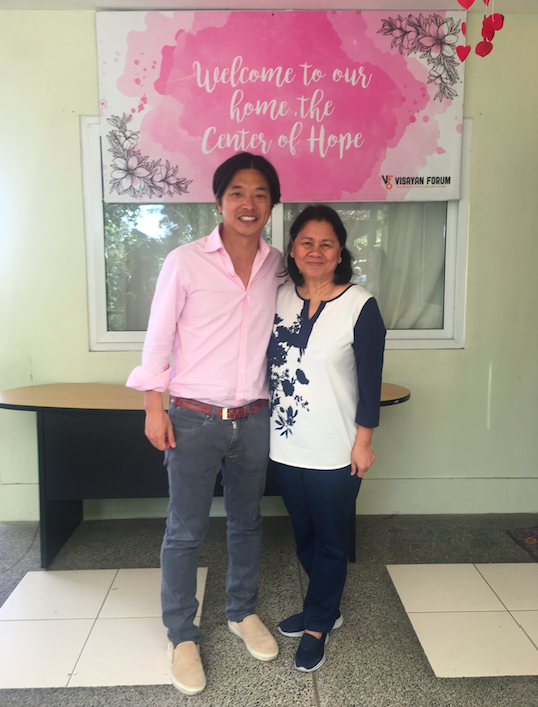 The visit to the Visayan’s Center of Hope was one of the most overwhelming experiences of my life, and I look forward to helping raise awareness about this international issue and providing organizational support. We also look forward to educating and training any of the graduates who want to get into the design or manufacturing industry at our nearby factory. 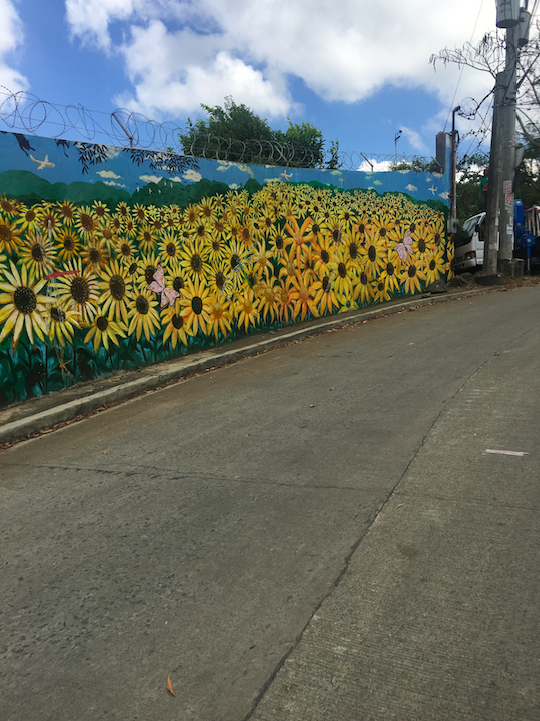 To learn more about Visayan, including how to support it, you can visit our Natori Gives Back page here, which also includes other charities dedicated to supporting and empowering women around the world. This must have been an overwhelming visit. It’s so nice that you are able to help them both near and far. i will definitely pass along their info. Thanks for sharing! This is heartbreaking to read, but I am so glad you guys are getting involved and spreading the word. Post shared! Thanks for sharing. This is so sad but also uplifting. So sad to read, but it is nice to know Natori is doing what they can to help and educating people about this issue. Must have been an overwhelming part of your trip.